Lisa Ottomanelli is an Assistant General Counsel at GeneralCounselWest, PC. She advises clients on a wide range of corporate, transactional and contractual matters. Lisa represents clients in debt and equity financings, stock and asset acquisitions, joint ventures and dispositions. She also advises managed healthcare clients on payor, institutional and provider contracts. Prior to joining GeneralCounselWest, Lisa was a finance associate at Latham & Watkins LLP, a top tier multinational law firm. Here she gained broad transactional experience representing lenders, borrowers and equity sponsors in complex financing transactions (asset-based financing, acquisition financing, and real property acquisition/disposition/financing/leasing). 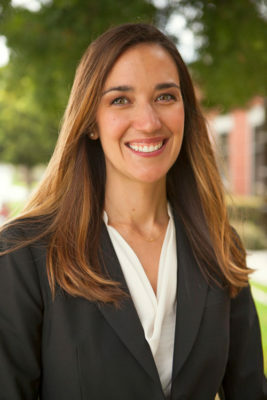 Lisa earned her law degree in 2009 from Pepperdine University School of Law, where she was a member of the Pepperdine Law Review, the Women’s Legal Association, the International Law Society, and served as president of Legal Waves, a student organization. Lisa also worked as a research assistant at Pepperdine, focused on International Law topics including Economics, Human Rights, and Nuclear Disarmament. In 2005, Lisa graduated from Columbia University with a Bachelor of Arts in Political Science. In her free time, Lisa enjoys playing volleyball, camping, traveling, and spending time with her four children. Lisa is a member of the California Bar and the Orange County Bar Association.